IPO Funding is a short-term loan that banks and other financial institutions provide to the investors to fund their Initial Public Offer (IPO) application. Investors who would like to apply for equity shares in an IPO, but do not have required money can borrow the remaining amount from the financial institutions as a loan. 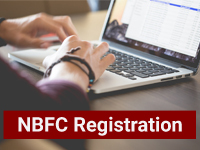 In general, the banks and Non-Banking Financial Corporations (NBFCs) fund a part ofIPO application while remaining fund is provided by the applicant. Small & Medium Enterprises (SME) looking to raise funds easily have now a great opportunity to raise funds through investors in Stock Exchange. Remarkably, 80 companies raised an astounding Rs.811 crore through IPOs in 2016-17. This is 267% more than the preceding fiscal where 46 companies used the IPO route and garnered Rs.304 crore in 2015-16. 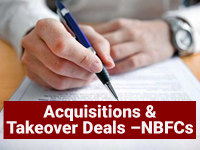 With the market for initial public offerings is on a boil, NBFCs which fund rich investors to apply for shares, experienced 2017 as a fantastic year for them. In the present scenario, NBFCs laugh their way to the bank while the rich investors move forward to cash in on IPO mania. Irrespective of whether or not the wealthy investors make money, NBFCs have been creating wealth hand over fist in what now appears to have become a zero-risk game for them. With a great majority of the issues listing at a juicy premium to the issue price, the big investors have been enhancing the size of the bets. And NBFCs seem only too willing to finance them! That appears to have formed a virtuous cycle of sort, where big demand for the issue from high net worth investors (HNIs) sparks more demand from retail participants; they do not want to be left out. Some market analysts say this is giving a distorted view of the actual demand for the issue. At the same time, IPOs in which the HNI portion has been heavily subscribed have listed at a fat premium to the issue prime. — Divya Gupta (Market Analyst, MUDS Management Pvt. Ltd.
To the joy of HNIs, the shares have been listing at premia good enough to cover interest costs even where the subscription has been huge. For example, IPOs of Avenue Supermart , CDSL , BSE Ltd and AU Small Finance Bank have all made money for HNIs. This trend is encouraging both HNIs and the NBFCs that finance them, to take even higher bets. In any IPO funding, NBFCs are not going to lose anything as they collect the interest amount upfront from the HNIs. Even if the shares happen to open below the issue price, the NBFC will still not lose anything as they have the 1 percent margin money which the HNIs have put up with them. 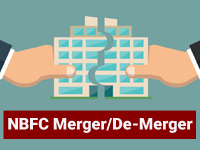 The NBFC will deduct the loss from the margin money and refund the rest to the HNIs.